Like his contemporary William Paterson, James H. Whiting was a 40-year veteran of the carriage industry when, in 1910, he decided to build automobiles bearing his own name. Whiting's place in Flint's automobile industry actually dates to 1904 when he purchased the Buick Motor Company of Detroit and moved it to Flint. After turning control of Buick over to Billy Durant, Whiting returned his attention to the Flint Wagon Works. In 1910, the Whiting Motor Car Company developed as a division of the Flint Wagon Works. 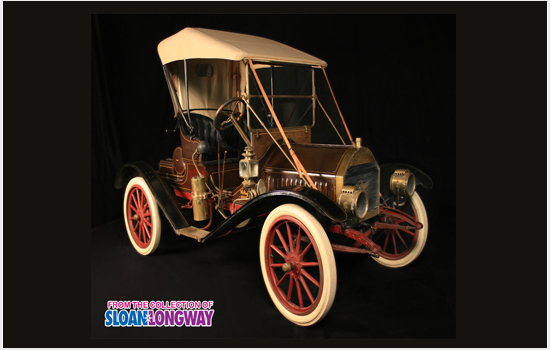 Over the next three years, the company produced several different models, all featuring four cylinder engines and shaft drive alongside their horse-drawn counterparts. Shortly after Whiting began production on the 1912 models, Durant purchased the Flint Wagon Works and converted its factories for the production of his new car line - Chevrolet.